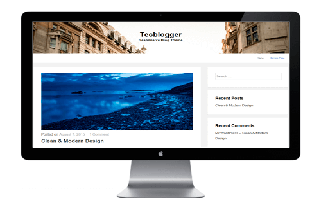 We create high Qualtiy WordPress Themes & Plugins for your Website. We Ensure you 100% Guarantee to work. Check out some of our latest amazing WordPress Themes & Plugins. Post Sliders Pro is a post content slider WordPress plugin with touch navigation for mobile devices. You can slide custom post types, with custom taxonomies. Logo Showcase Pro plugin allow to Display a list of clients, supporters, partners or sponsors logos in your WordPress website easily. We strive to perfectly blend creativity and technicality in all the themes and plugins that we provide. we offer everything at one place to make it easier for you. Our main goal is to provide high-quality premium themes and plugins mainly focusing on UX and latest trends. All of our responsive themes and plugins are compatible with all major browsers. All codes are well commented and we followed best coding practices for WordPress. We provide lifetime auto update. It means you are allowed to use the theme or plugins for your lifetime. It includes new version updates and premium support access for lifetime. Your themes and plugins is covered by a team of rigorously-trained WordPress experts available around the clock to ensure your themes or plugins experience is amazing. We feel privileged to be of service to our customers and we take that responsibility seriously. What our customer's say about our plugins or themes.